Thermostats We	service	and	install	all	variations of thermostats. Including all digital and standard models. Ductwork Installing ductwork properly is key to an efficient and cost effective air conditioning system. Generator Systems We install a wide variety of external generators to fit any size home. 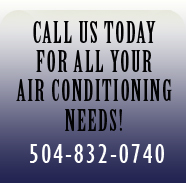 System Maintenance Maintenance	to	your	air	conditioning	system	is crucial to keep it running properly for years to come. Carbon Monoxide Testing Keep your home safe. Call us today to have your home tested for carbon monoxide. Audubon Air and Heat services all makes and models. We honor existing extended warranty contracts. We also offer financing on replacement and new installations.